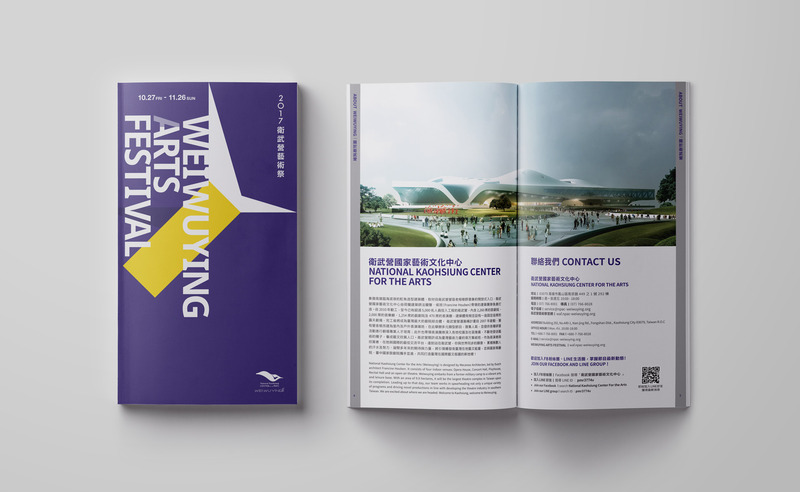 Located in Fengshan, Kaohsiung, National Kaohsiung Center for the Arts-WEIWUYING, formerly known as the military hinterland, is also one of the three national venue constructions in Formosa. 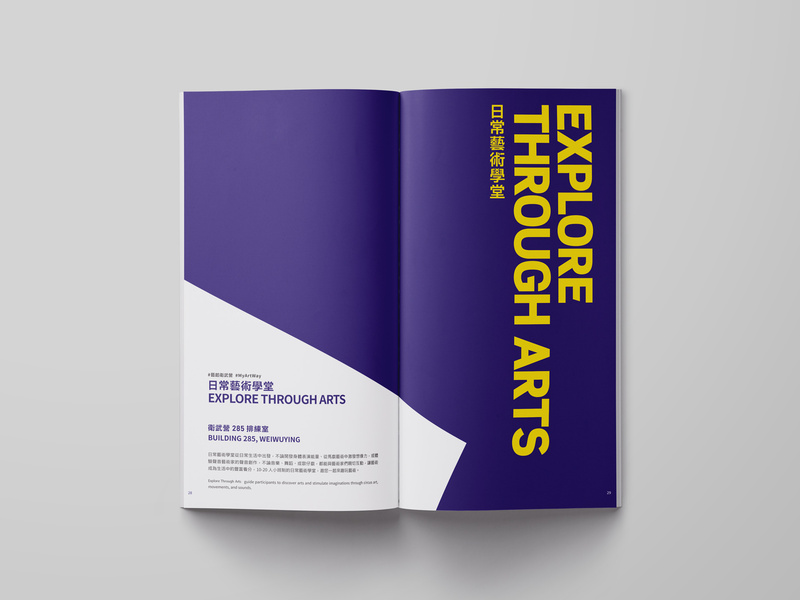 Take art as medium, space as platform, National Kaohsiung Center for the Arts (WEIWUYING) inherit and carry forward the cultural roots of southern Taiwan. 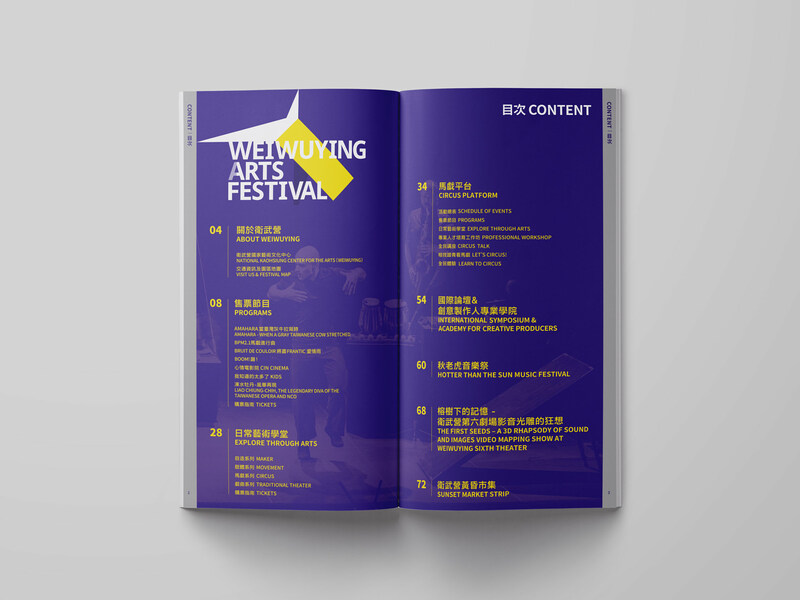 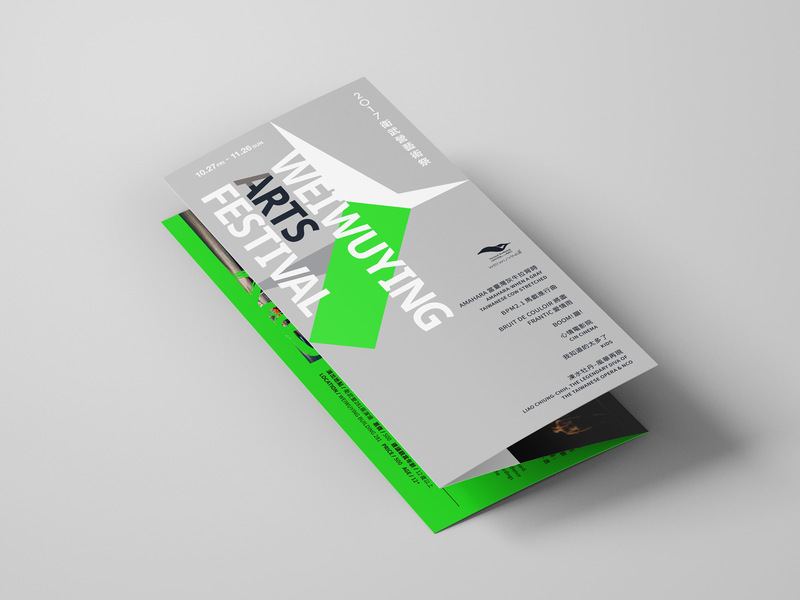 WEIWUYING is an extraordinary hub for arts and cultural activities, and the art festival is the outcome of local art and literature. 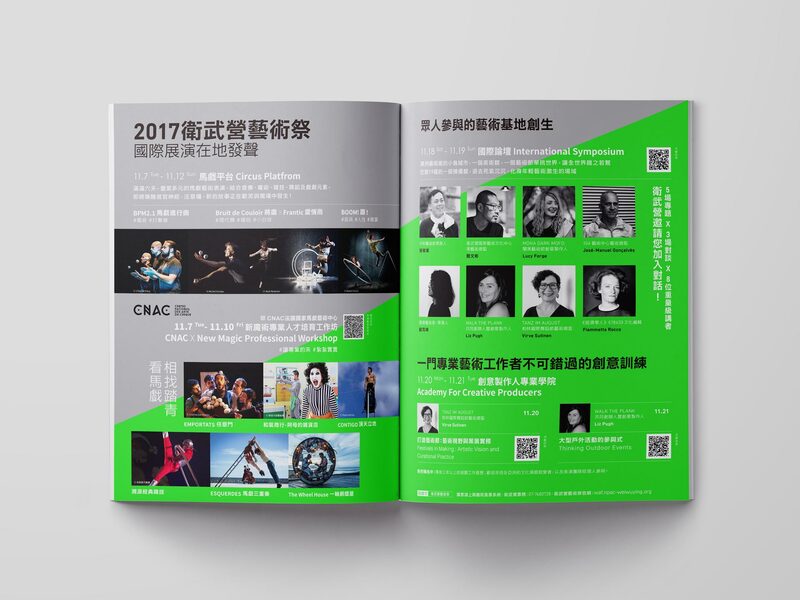 The 2017 debut festival is a celebration and prologue, gathering the enthusiasm and passion from land and residents, hold before the opening ceremony of architecture. 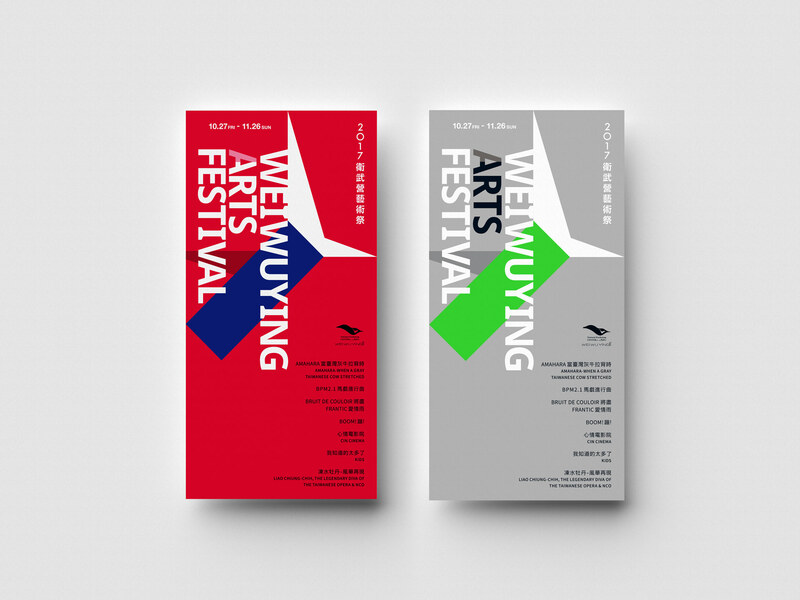 Responding to the undulating shape of the building, the festival symbolizes the ripples as a network of local connections, linking daily life with artistic activities naturally. 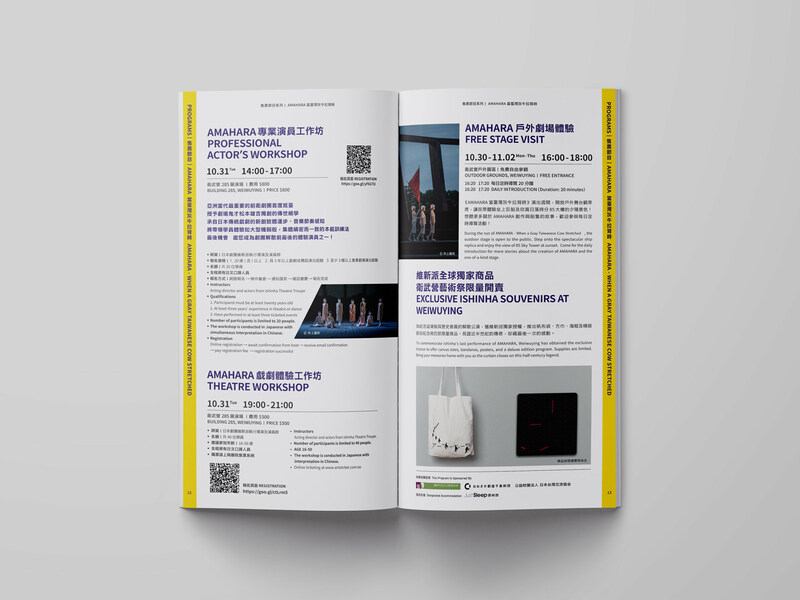 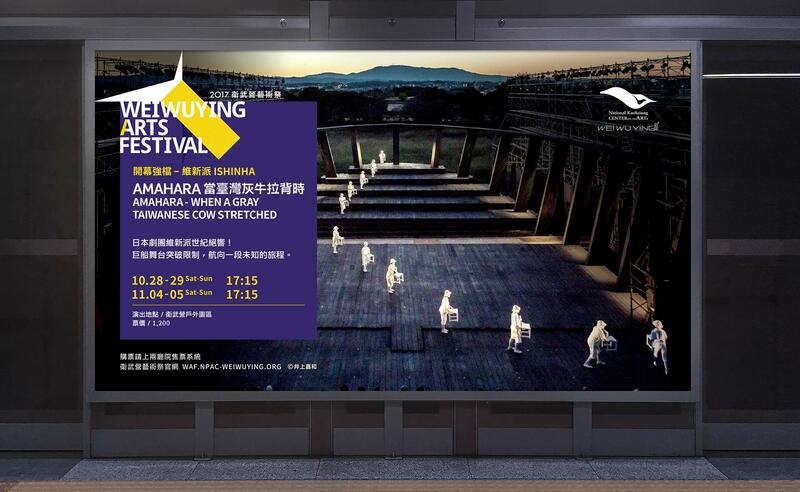 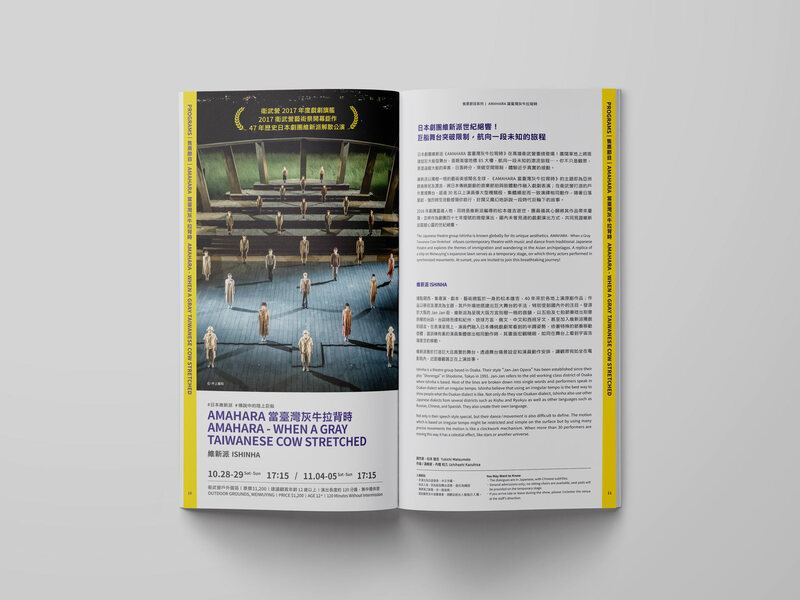 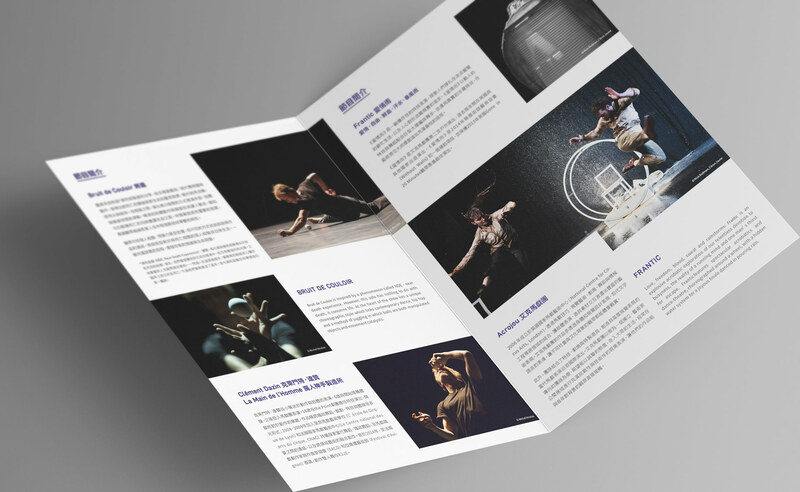 The fully open space of WEIWUYING build a steady foundation for crossover, cohering the energy of South Taiwanese arts and culture, and also conveying the vision of deep cultivation and cultural resonance. 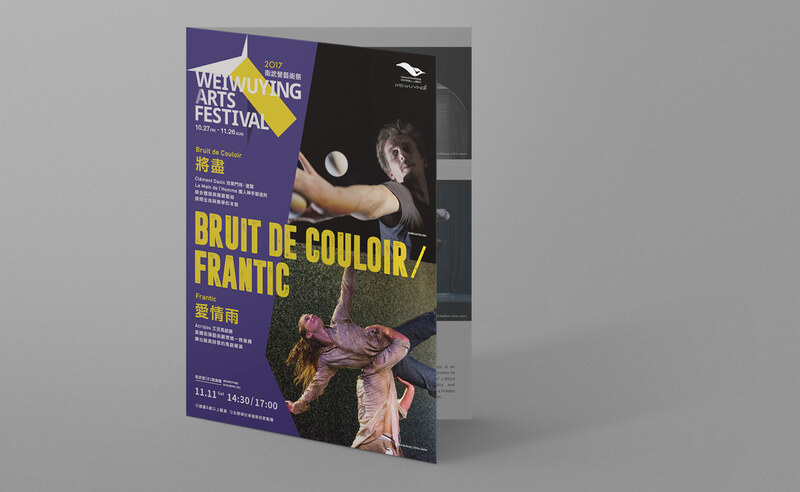 To underline the significance of Kaohsiung unique native culture, the WEIWUYING Art Festival extends its various potential possibilities to the maximum. 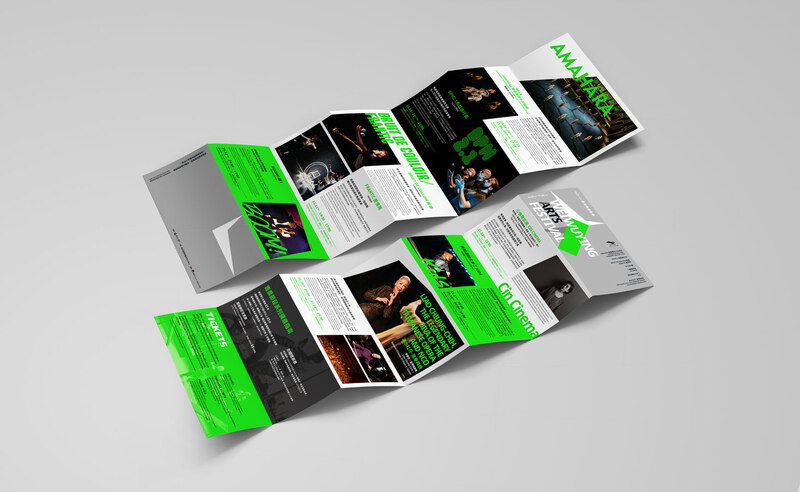 Mainly inspired by the building itself, the image of arrow is implanted into the main visual system to definite the leadership position in the southern area. 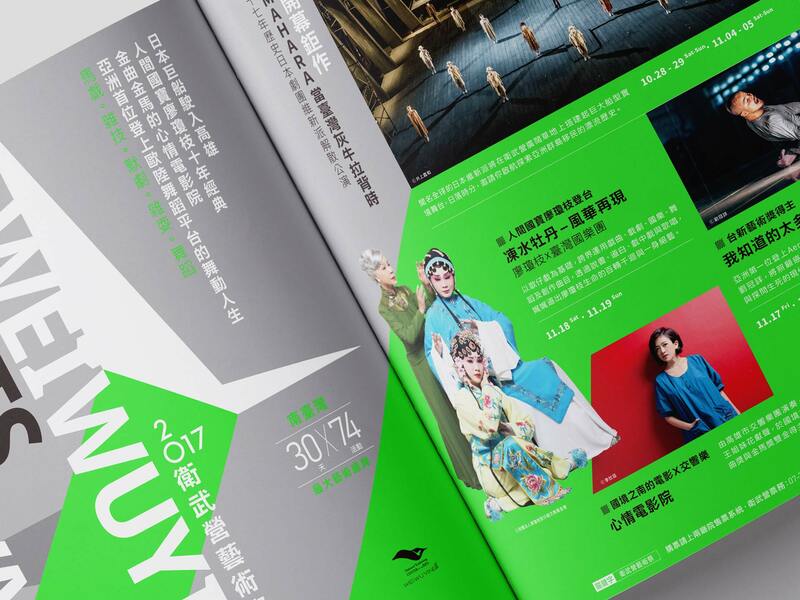 The exclusive personalities of Kaohsiung are the basis for visual language transformation: the leisure moment from south island, the bustling vibe in tropical climate, compare with the relatively rational temperature in the north, these pictures construct the foundation of the brand's graphic structure, endowing the art festival a vivid and colorful impression. 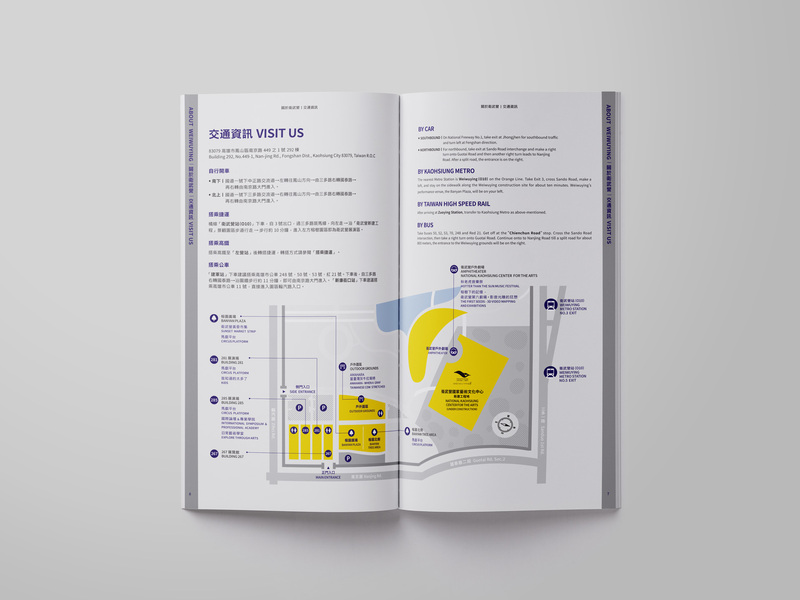 The visual configuration echoes the distribution of the exhibition area, segmented into several spaces with different halving edges in units of vertical crosses. 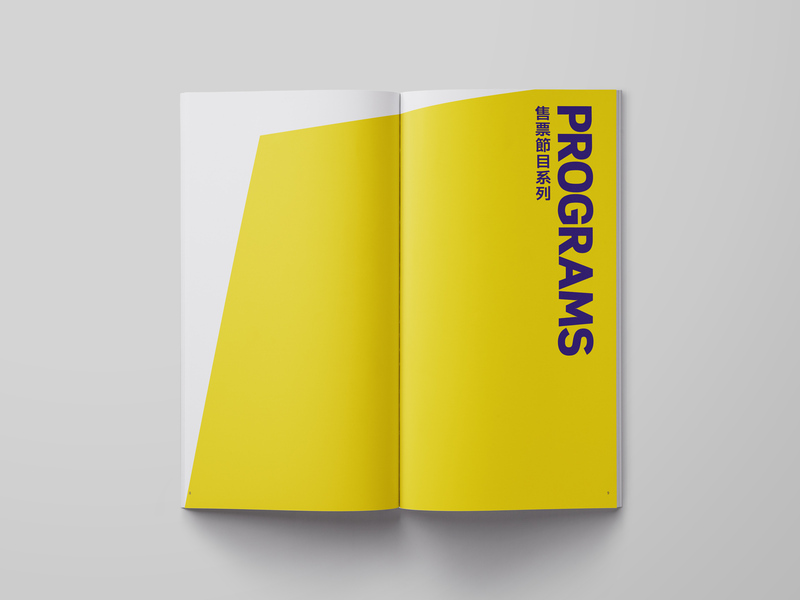 Sharp corner symbolizes the pioneer, and straight line represents maintaining balance, the brand aims to achieve the complete consistency through these two core ideas and intentions.